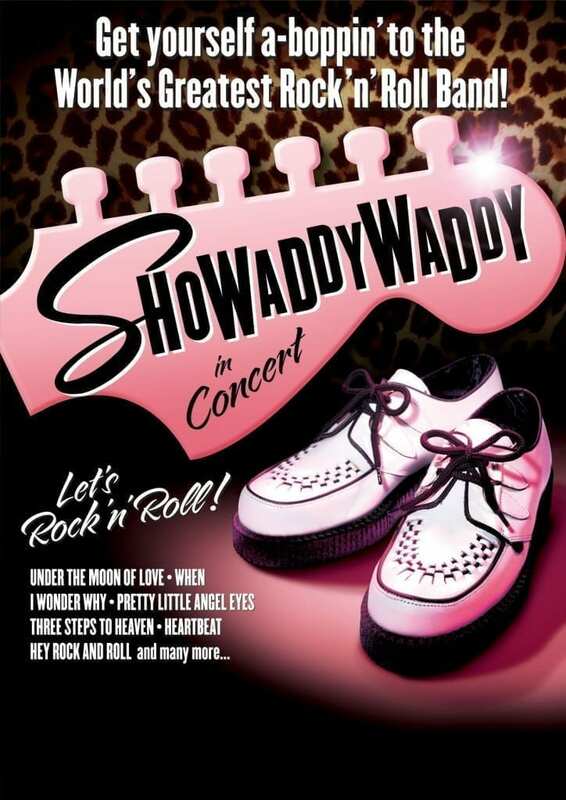 Following their previous SELL OUT shows, Showaddywaddy make a very welcome return on 27th April 2019! Formed in the 1970s in Leicester from several local bands, they have sold more than 20 million records and have toured the world. Their live show is dynamic and uplifting featuring all of their biggest hits, many of which reached number one in the pop charts of Europe. ‘Under The Moon of Love’, ‘Three Steps to Heaven’, ‘Hey Rock & Roll’, ‘When’, ‘Blue Moon’, ‘Pretty Little Angel Eyes’ and many, many more.